Martin Novar focuses his practice on real estate transactions and litigation, bars & restaurants, corporate and intellectual property transactions and litigation, employment litigation and governmental administrative issues. In each of these areas, Mr. Novar works in an efficient businesslike manner; tough when required, amenable when advantageous and always professional and ethical. Martin will effectively handle your compliance and permitting issues with the various NYC & NYS governmental entities that regulate restaurants, businesses and real estate. The State Liquor Authority, Labor Department and NYC Fire Department, Building Department, Tax Department and Health Department can shut down your business or demand thousands of dollars for non-compliance violations and, unlike wine, the issues never improve with age. Martin will also secure your liquor license, sidewalk cafe or public assembly permit and represent you for non-compliance violations. Martin advises numerous businesses and executives on labor and employment matters including restrictive covenants/non-competes, independent contractor/employee designation, publicity rights, copyright ownership and use and workplace relations. 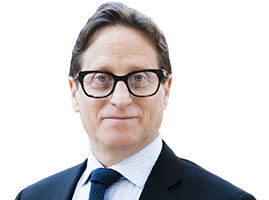 Martin has extensive experience as intellectual property counsel, licensing, registration and litigation from his in-house counsel days, as a private practitioner and as a adjunct at the NYU School of Continuing and Professional Studies where he teaches intellectual property courses. In addition to transactions and corporate counsel, Novar is a tenacious litigator prosecuting or defending disputes in a wide range of industries and areas of law.